All songs featured in the story can be found on this page. 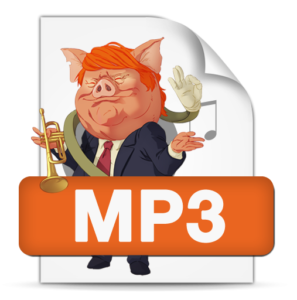 All purchases enable the buyer to receive free remixed versions as the songs evolve, including the possible versions recorded in a more professional capacity. 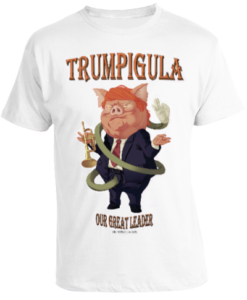 All proceeds from the sale of the songs and T-shirts, and money raised through the crowd-sourcing campaigns, will be used to try to make the Trumpigula story into an animated movie. Every bit helps the fund-raising goal.